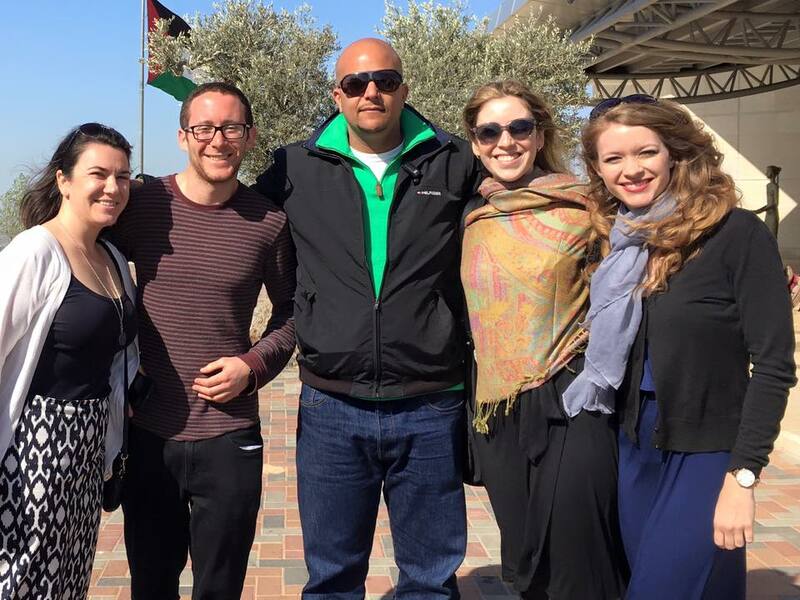 Katharine Brown – In March 2015, I arranged for Rami Nazzal to lead a group of 47 master’s students on an academic, policy-focused tour of Ramallah. After our day with Rami, several students approached me to express how much they valued this extraordinary experience. From beginning to end, his work displayed a great amount of professionalism and consideration for the concerns of our group. He offered well-articulated answers to our questions concerning the Israeli-Palestinian conflict, urban development, political frameworks, and social cohesion. Thanks largely to his knowledge and expertise, our group considered our visit to Ramallah as the most informative and unique part of our trip to Israel. I speak for 47 students when I say that Rami comes highly recommended! Gabrielle Sulzberger – I had the opportunity to be introduced to Beyond Borders Tours by the former Israel bureau chief of the New York Times, who recommended my guide, Rami Nazzal highly. I had been a bit hesitant because of all the border conflict, but I was totally reassured that it would be safe and a worthwhile visit with Rami. 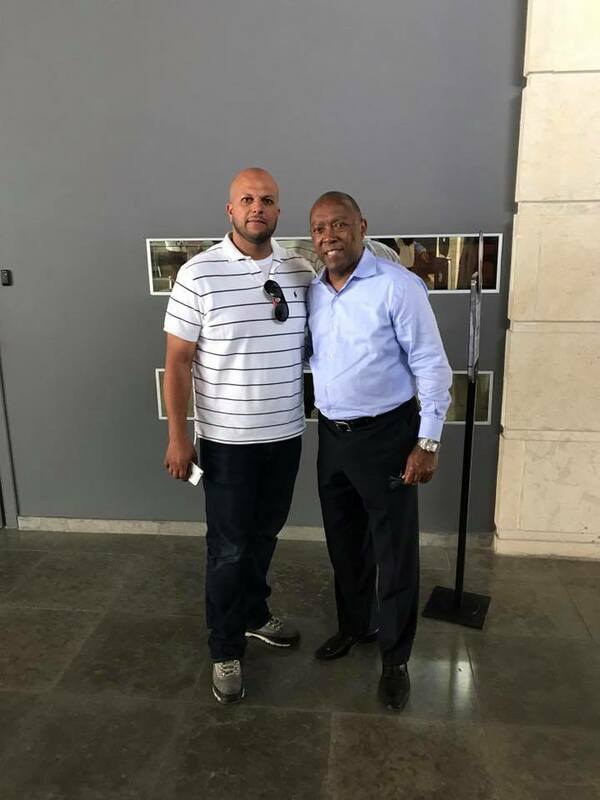 I go to Israel periodically for work and love the country, but also wanted to deepen my understanding of the region – this tour certainly did that for me. Rami picked me up promptly at 9 and we drove to the West Bank. He toured Ramallah, Hebron and Bethlehem and it was fascinating. Rami is Palestinian and well known in the community, and I felt very comfortable visiting the refugee camps, and spending time with local people. He is extremely knowledgeable about the country’s history and also current events – and I always felt he portrayed the complicated political situation in a way that was fair and balanced, and also gave me some real insights. Rami attended college in the U.S and his English is flawless. We finished off the day with a tour of Bethlehem (which I found very moving), and the MOST amazing lunch under a Bedouin Tent! I was surprised that Beyond Borders was not on TripAdvisor before, but Rami doesn’t market. But even though he is known only via word of mouth, he works with most of the major U.S colleges – this month he is taking groups from Harvard, Yale and Columbia. It is impressive. I travel internationally quite a bit for work (and pleasure), and often like to take small group or private tours when I am in a new place. I honestly have to say that this tour, and Rami, were one of the best and most impactful tours I have ever taken. David Shipler – I enthusiastically recommend Rami Nazzal. I worked with him for several days on the West Bank, where he arranged interviews and visits at schools, refugee camps, villages along the separation wall, and the Palestinian Authority’s Education Ministry. He was enormously efficient in finding informative people and organizing complicated days of traveling and interviewing. He seems to know people everywhere, and they clearly trust him as he brings a stranger into their midst. Candy Goul – A remarkable experience. We need more Palestinians like Rami to engage in meaningful dialogue. Beyond Borders is a trip that should be on the itinerary of all visitors to Jerusalem. Karl Vick – Rami was my guy on the West Bank for four years with TIME Magazine. He’s a remarkably savvy, well-educated and instinctively respectful man who shows you not only the poured concrete and checkpoints that define the place on its borders — and to the outside world — but also the vibrant individuals and culture that make it such a splendid place to spend time. His English is idiomatic, and he really does seem to know everyone. Highest recommendation! Lara Garton – I had the opportunity to hear Rami speak about the Palestinian-Arab/Israel conflict during a trip with the David Project. It was very moving, informative and engaging. Rami is passionate and has first-hand knowledge about this subject. I would love to go on a tour!! 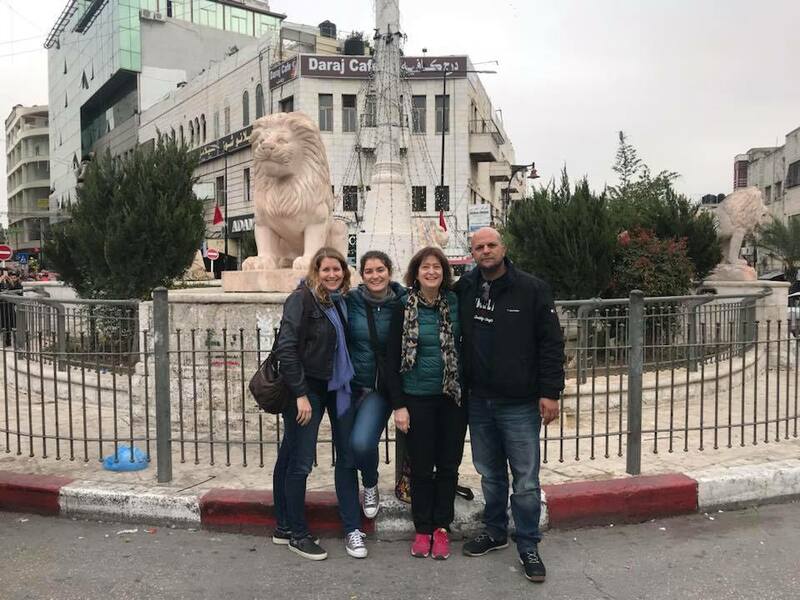 Nitzan Pelman – Special thanks to Rami Nazzal and Beyond Borders Tours for taking us on a very important tour of the West Bank. Was a hard day for everyone on the trip but a critical one to understanding the conflict from so many different perspectives. Myles Lutheran – After one week around Israel I feel incredibly lucky to have had Rami finish my trip with an intimate tour of the West Bank. A must do on any Israel trip in order to understand the current state of the conflict and optimism for a resolution. Adam Newcomb-Weiland – Anyone looking to truly understand what is happening in this part of the world needs to participate in this tour. Rami is the consummate guide. He is incredibly professional, provided a balanced perspective, and a safe environment, absolutely exceeding expectations. Aidan Ali-Sullivan – Rami is amazing- First off he takes amazing care of your group. Second, he knows everyone! Everywhere we went he was making things happen, pulling strings for us and providing us spontaneous adventures beyond my expectations. Finally, he is extremely intelligent and knowledgeable on the region, politics, religion and history. If you are looking for a true insider with unparalleled knowledge, access and energy in the West Bank area there is no one better! Kyra Davis – If you want to understand the conflict, the beauty, and the hope here, you must attend one of Rami’s tours. Shannon White – Rami gave my group a really thoughtful, amazing tour, topped off with some fantastic food recommendations! Alejandro Cuauhtémoc – It was an excellent tour! I learned so much and everything was perfect! Ameerah Phillips – Rami enriched our experience with knowledge, passion, and even a little humor. Anyone looking for a tour into the West Bank should unequivocally tour with Rami. You won’t be disappointed! Jeremy Meltzer – A must-do trip when in Israel! Visit the West Bank with Rami! So important to gain a perceptive, a window into the reality of the Palestinian people. Rami was fantastic! He knew everyone, made us all feel very comfortable and was deeply knowledgeable abut the region, while offering a balanced view on a complex situation. Anyone travelling to Israel, I’d recommend this day trip. It will enhance your perspective on the region, and ultimately, it highlights our common humanity. 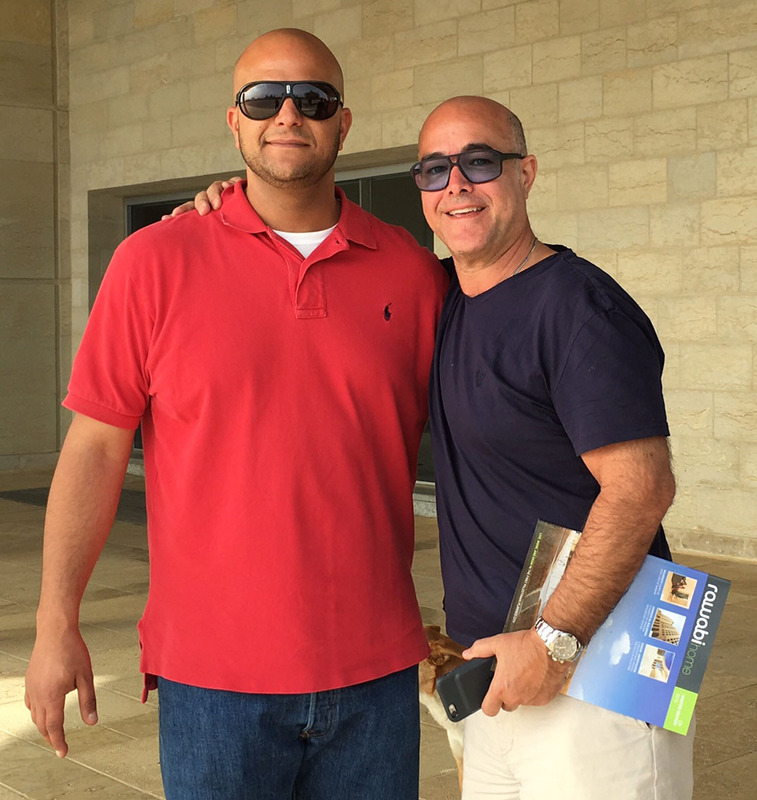 Colin Crawford – My tour with Rami was my last day of 10 in Israel. What an astonishing, illuminating, confusing and wonderful way to end! Rami is incredibly knowledgeable, intelligent and articulate. He has a balanced, holistic view of the complicated situation in the Palestinian Territory. He also seems to know every 3rd person-so this opens doors. He is also quite amiable and gracious. The tours are not cheap but you absolutely get what you pay for. This is a first-rate experience. I wouldn’t have missed it for the world.